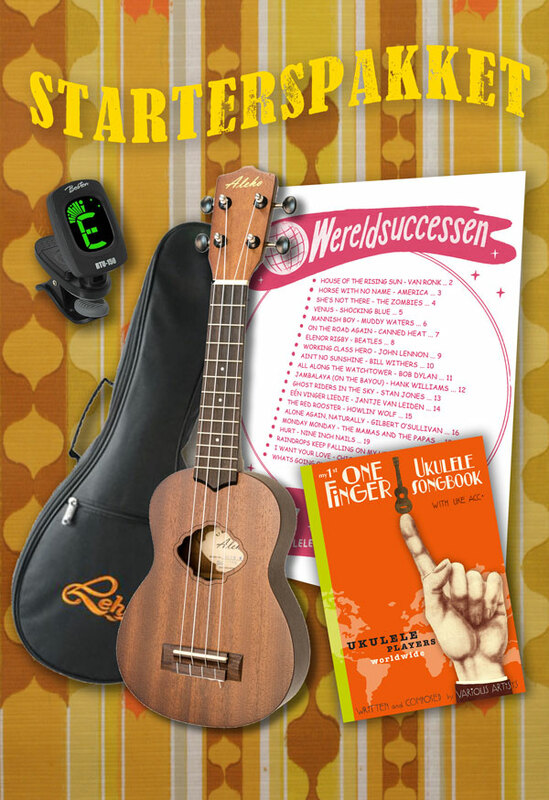 We hebben een heel mooi starterspakket en daarnaast nog tal van andere ukuleles! Optredens van Jan en Els / Trio Maria Mejor / Farter Family etc..
Dit is een online lesprogramma dat op school gebruikt kan worden. Het vergt weinig voorkennis van de leerkracht die dit in de klas wil gebruiken. This is an on-line app to play along with YouTube videos. The chords and text are shown synchronously along with the videos. The Ukulele Chord Finder has been on-line for 20 YEARS! We started the (Sheep Entertainment) Ukulele Chord Finder back in 1998. It is an on-line app to find chords in 2 directions, so also by just clicking the finger positions. Haven't seen our Merry X-mas video clip 2018 yet? • Just go to the page with all our X-MAS VIDEO CLIPS from last 10 years! Video from BOGUE about us and the Ukulele Paradijs. The UkeMaster will help you find ukulele chords. It contains both basic and advanced chords. It also finds the chordname if you press the finger settings. 4 different tunings.